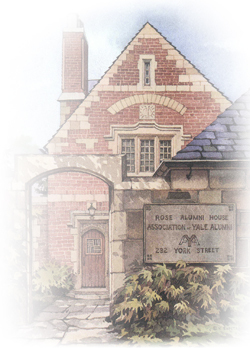 New Support for Yale Alumni Initiatives in New York! Big changes are afoot at the Association of Yale Alumni, including new levels of support for alumni activities in New York City! Join us for a reception starting at 6:30 p.m., followed by a�special presentation�by AYA Executive Director Mark Dollhopf '77 on Monday, March 31, 2008. The AYA has embarked on an ambitious strategic planning process, and alumni programs in major metropolitan areas like New York are a major focus. There are dozens of alumni groups in New York, including both the Yale Alumni Association of Metropolitan New York (YAAMNY) and the Yale Club of New York City�on Vanderbilt Avenue. This evenings program will focus in particular on YAAMNY, which includes the almost 14,000 Yale alumni in New York. We need your input to� help determine how we can best invest AYA resources to benefit both alumni and the community and to help develop and support YAAMNY programs.